SHOT Show's Industry Day at the Range is one of my favorite days of the year. It's the one time when so many gun and gear manufacturers are in one area for anyone in attendance to shoot their respective guns. It's the time when the big companies reveal the newer products for the year, allowing all of us gun junkies to shoot them. This year, like all the others, it took place in the Nevada desert. There was a lot of walking involved, and at the end of the day all you want to do is take a nap. That's not me complaining, by any stretch. Again, this is one of my favorite days of the year. Another thing that Range Day, as I like to call it, is really good for is ramping up the knowledge base for the interviews that will be taking place the rest of the week. We'll know without a doubt by shooting the new (whatever product it is) whether or not we're going to put time and effort forth to get someone on camera. There is a downside to the Range Day, however, and it's one that many in the industry aren't really talking about. The list of companies who don't go to the Industry Day anymore is growing. While that's not a huge list, those are just the ones I can remember off the top of my head, and they're not exactly small companies. Not sure what is going on here, but I know I'd like to shoot some of their guns. Granted, we did go to SIG's VIP Media Day, but still. 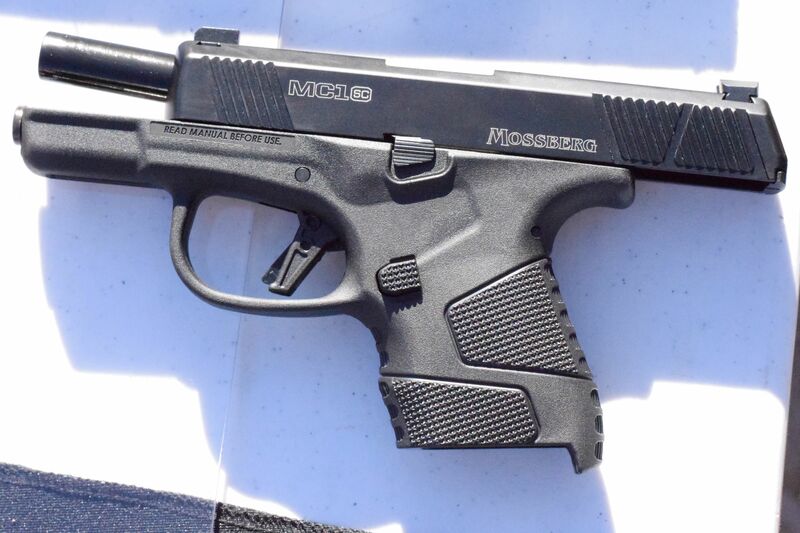 The Mossberg Pistol is one of the first things we saw when we stepped inside the range territory. This is one of those things that I was really looking forward to, and can say that I am glad that I was looking forward to it. I said early on that this was going to be a winner for Mossberg, and I was right. They've got the price point set perfectly with an MSRP at $425, with a street price lower than that. The Mossberg comes with a six round and seven round magazine, and while that's a little lower than some of the competition in this size, I kept going back to shoot it because I couldn't believe how much I liked it. I'm adding this as a highlight based on what the other guys have said because I actually didn't have enough time (or patience) to stand in that line to shoot their new handguns. Based on what I was told they liked the G48 more than the 43X, not that it matters because they both serve two totally different purposes. 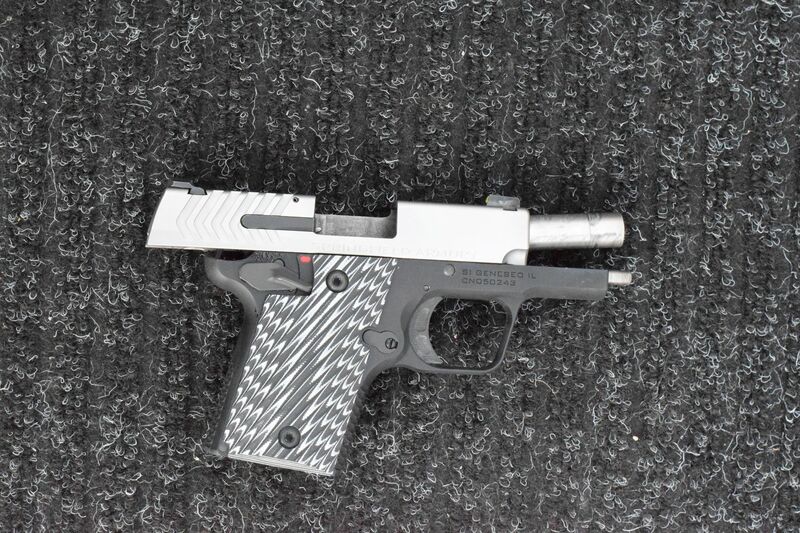 So the Springfield Armory 911 was released last year at SHOT Show 2018 in .380 ACP. 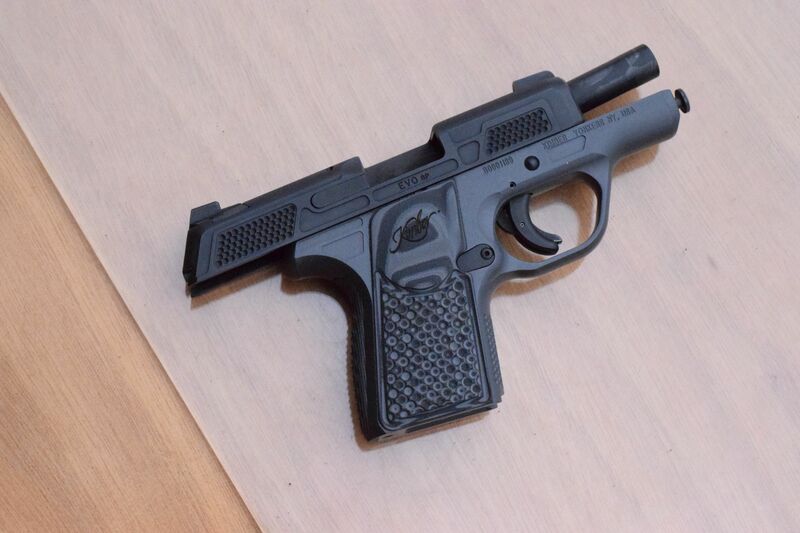 We all suspected at some point that they would release a 9mm version of this micro compact pistol, and they didn't disappoint this year with that exact model. The 911 in 9mm comes standard with Ameriglo ProGlo Tritium night sights, and two magazines. One for six rounds, and a seven rounder with a little extra room for the pinky finger to have a home. MSRP starts at $659, going up depending on if you want a Viridian laser. Uh, yeah. And I put several mags through one and it felt great in hand, and I was surprised at how smooth the trigger was. Magazine capacity comes in at 7+1, and it definitely has a ding against it in that it's an expensive addition to the micro compact lineup starting in the $850 range and going up from there, depend on what you want. On the plus side, for those of you who love 1911s and all-metal construction, this will be right up your alley because the frame looked to be an aluminum alloy and it is very reminiscent of a 1911. Overall, this looks like a winner, albeit an expensive one. I know that the addition of a 10mm pistol caliber carbine is something that has been on the radar of many different folks for quite a while. Well, Stag Arms listened and have given you exactly what you wanted. While it's not listed on the website as of this writing, and I don't remember much of the details, I did shoot it and it handled great. 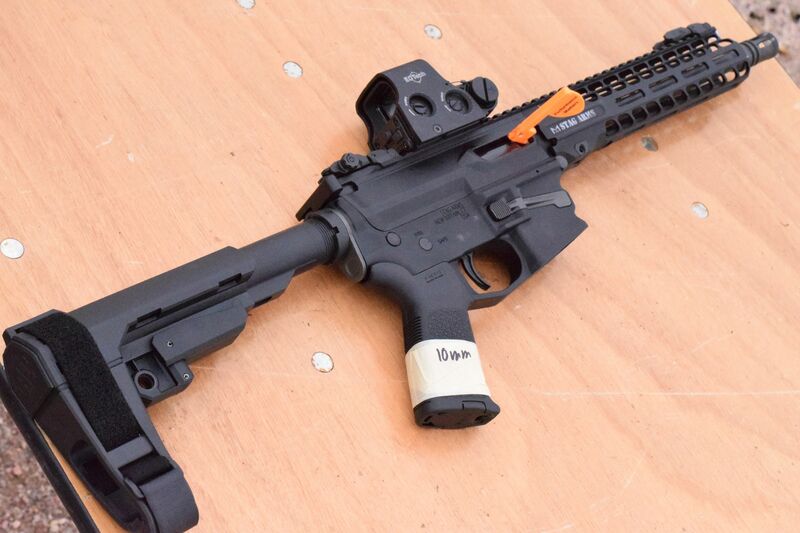 Recoil was at a minimum, and the 10mm cartridge can stand on its own two feet. This is totally something that is a winner for them. Even though SHOT Show is coming to a close and our website was down for a few days, we'll still be uploading some content from the show, so stay tuned for that.